*We are working on getting more. Please check back soon. 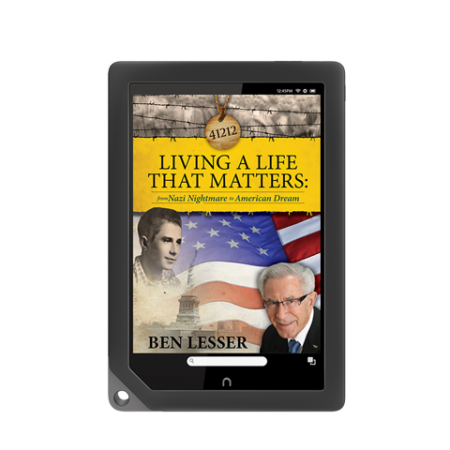 In this engaging, inspiring, and educational Holocaust survivor memoir, Ben Lesser invites you to revisit a time in history when the world went mad. 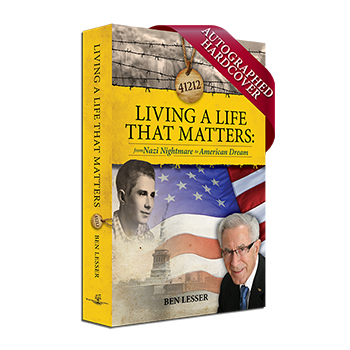 Learn how this ordinary, young Jewish teenager from Krakow, Poland, survived through extraordinary times living in ghettos, enduring four concentrations camps — including Auschwitz, Buchenwald and Dachau — two death marches, and two death trains. 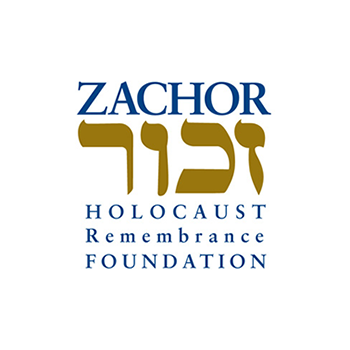 After liberation from Dachau, the Holocaust survivor slowly healed, eventually recovering physically from his near-death experience. At age 18 – penniless, uneducated, and unable to speak English – he made his way to the USA and succeeded in living the American Dream. 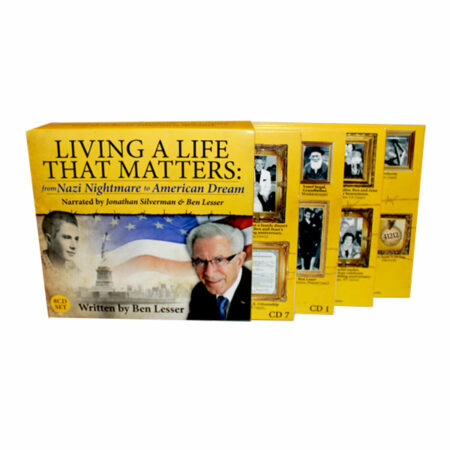 This nonfiction account is one of the most important rags-to-riches biographies by Holocaust survivors. Ben serves not only as a teacher, but also bears witness to the past, teaching students of all ages the important values of tolerance, democracy, respect for human dignity, and decency. Despite sorrow and tragedy, his determination to achieve his dreams is a harrowing biography of his life that will inspire you to achieve your own dreams. This unforgettable story of courage, determination and achievement is available in audiobook, e-book, paperback and hard cover.